Skyline Music is a free community music series provided by COA Youth & Family Centers at the Selig-Joseph-Folz Amphitheater in Kilbourn – Kadish Park, between North Ave and Reservoir Ave. Concerts are on Tuesdays, July 10 through August 21, from 5:30 – 8:30 PM. 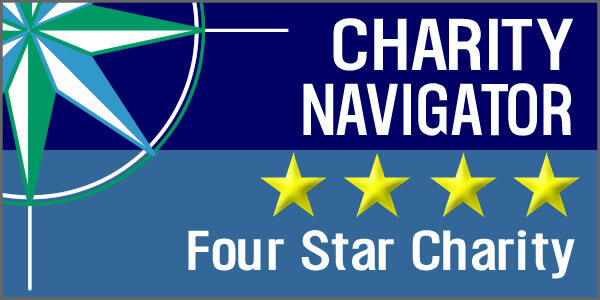 Family-friendly food, fun and music in the Riverwest neighborhood! Click here for the Skyline Music Series promotional flyer! Urban Empress and the Urbanites are a 7-piece reggae group with influences including Burning Spear Luciano, The Wailers, Ziggy Marley, and The Meditations. The Screamin’ Cucumbers (Cukes) are a diverse Milwaukee area cover band formed in 2004 and have played just about every Milwaukee venue including Summerfest and State Fair. The Cukes have even taken their show on the road internationally and performed outside the US. The set list consists primarily of great danceable pop, rock and country tunes with a bit of an emphasis on the 80’s. If it’s upbeat, danceable, and fun it’s probably on the set list. Taking cues from the dance bands of western Louisiana (and his native Midwest,), the streets (and 45’s) of New Orleans, touring African and Caribbean combos and the soul, funk & blues of his youth coupled with early , teeth-cutting experience in the verbal hotbeds of the coffeehouse scene, Cebar is a masterful synthesist of rhythmic culture. Well-Known Strangers has been entertaining Midwest audiences with a cello infused, alternative pop/rock, with a tinge-of-country-band sound. AhVantSoul are a diversified musical aggregation that performs a seamless mixture of classic 60’ 70’s Soul Jazz-funk, R&B, Classic Rock n ‘Soul, Funk, and Blues music from pioneering musical artists. Growing from a trio into a powerful ten-piece over the last thirteen years, De La Buena has been electrifying audiences with their own brand of Afro-Cuban and Latin Jazz. Employing jazz harmonic sensibility and a deep-seated love of diverse cultures, De La Buena explores the textures and rhythms of Latin musics of the Americas with roots planted firmly in African Diasporic traditions…. a sophisticated Latin dance band with a touch of the psychedelic if you will. Celebrating 20 years of reggae in Milwaukee in 2018! 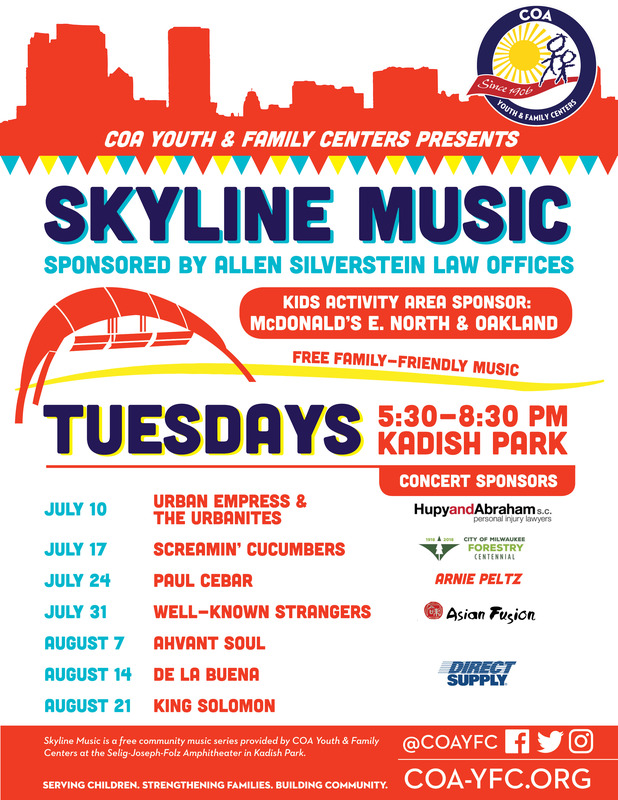 Skyline Music Series is located at the Selig-Joseph-Folz Amphitheater in Kadish Park, between North Ave and Reservoir Ave.